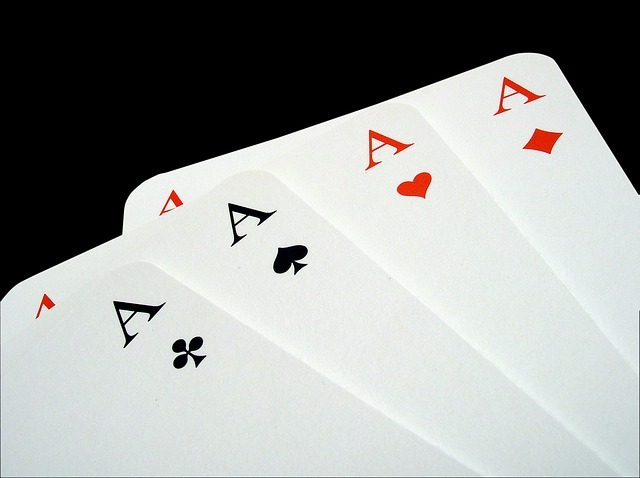 Great story ideas are like aces in a poker game: thrilling yet unpredictable. Yep, research. There is nothing like good, old-fashioned research to get the writing gears going. But most of us think of research as a tool to be used after we have the idea. Stand back, because I’m fixin’ to rock your writing world. What do you love? What makes your heart go pitter-pat with excitement? What do you think about all the time? What do you bore other people to tears talking about incessantly? What do you read articles and books about, every chance you get? That’s where you’ll find an idea. And best of all, “research” is the perfect excuse to do what you love. Take me, for instance. I am fascinated with ghosts. I have loved ghost stories since I was a little girl, listening to my mom driving around the streets of downtown Savannah, sharing spooky tales and scaring me half to death. I still shudder through countless books of ghost stories. I love to go on ghost tours when I’m on vacation. I hang out in cemeteries, taking pictures of tombstones. So guess what shows up in several of my novels? Yeah, a topic I love. And once I have my idea, I might even need additional research. Which happily is yet another excuse for me to do more of what I love. What about you? Grab a bunch of index cards and write on each one something you “research.” Will it be candy, cars, camping? How about monkeys, magic, mysteries in history? Or is it snakes? Surfing? Sangria? Now, “research” is not to be confused with “write what you know.” I had a house full of kids who seemed to be adept at spilling; I know a lot about getting stains out of anything from carpet to silk. But I don’t love the topic of stain removal. I’m pretty sure that idea is not going to carry any of my novels. But I also had a little boy who loved baseball, and I love baseball. I spent years watching that little boy play baseball. At first, I was surprised how often baseball showed up in my stories and novels. But now, I get it. Baseball is my heart, and my heart is always going to show up in what I write. So the next time you need an idea, think about all that “research” you’ve already done. Lay your cards on the table, and then let your mind wander. 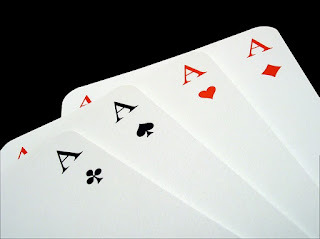 I promise, you’ll come up aces! Ghosts! Just one more thing we have in common. :) I love your idea of using research to come up with ideas. Research first instead of second is pretty brilliant. That's why you're the Yoda! I just know you have ghost stories galore. Researching what you love...great idea. You make it sound so easy! Do you have any tips for not getting bogged down in too much of a good thing? I love researching topics I'm interested in, but then I get this feeling I might miss a key piece so I write everything down. After a while I just feel overwhelmed and throw in the towel. I love ghosts too! What I need help on is organizing those ideas so I can find them when I need them. Any tips on that? And Sheila, I know a lot of writers who keep an "idea journal." I, on the other hand, am one of those writers who is always grabbing the nearest scrap of paper and jotting down my idea. I have a file cabinet in my office and I have a file where I dump those scraps. I also keep a ton of idea files on my laptop. The trick, I think, is finding the organizational system that works best for you. It could be a wall in your bedroom, covered with sticky notes. :-) Good luck! Ghosts and baseball are two of my favorites too. The image of your watching your son play baseball came through clearly in this post. And such a clever idea of doing research and writing ideas on cards.